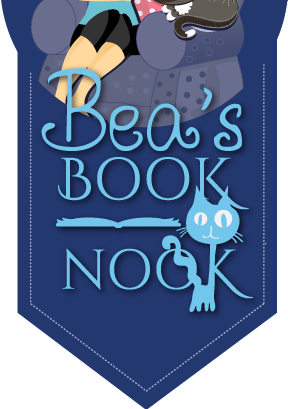 Bea's Book Nook: 2016 Edition of The TBR Book Tag - How Many Books Are In My TBR Pile? 2016 Edition of The TBR Book Tag - How Many Books Are In My TBR Pile? I did this a couple years ago, missed it last year, and decided to do it again this year, even though I was nervous to compare facts and see how I've done since then. The short answer? Poorly. 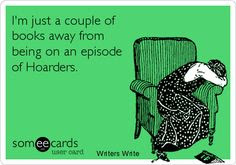 :D I am a book hoarder, there's no doubt. Books are my addiction. Luckily, it's not an expensive one as I've gotten good at acquiring books at a bargain price or for free. First, a couple of housekeeping tasks. My definitions of a TBR, or To Be Read, pile differs from many other bloggers. For me, the TBR pile consists of books actually in my possession; I own them or have borrowed them, whether from the library or a friend. If it's a book I want to read but don't have in my possession, then it's a wish list book. My wish list is a mix of books I want to review, books I want to own, and books I want to read. 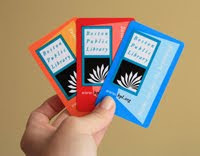 I use it for "shopping" the library and for requesting books as well as for my personal shopping list. This hasn't changed in the past few years. I use Goodreads. I am obsessive about updating my shelves there. Whenever I acquire a book, I record it on GR and throw it on every vaguely applicable shelf. :D Once I read the book, I may change the shelving but I prefer to narrow it down only after I've read it. At this point, ebooks. I (still) periodically go through phases of downloading freebies like they were going extinct. I also have a bad habit of downloading freebies and requesting books at NetGalley when I'm sick and laid up. Add in ebooks I receive for review, and the occasional library ebook, and ebooks now make up the majority of my TBR pile. I do still have a backlog of print books and there are some authors I have to have in print but I mostly read ebooks these days. 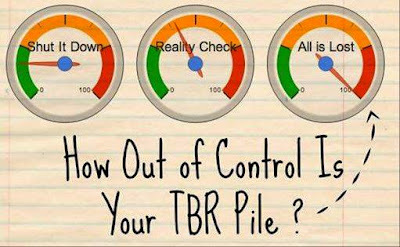 How do you determine which book from your TBR pile to read next? 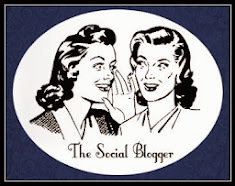 I look at my blogging calendar, where I am in my review reading (ahead, behind, or on target), and consider my mood. If I have books from the library, then I factor in due dates. Other times, I just say the heck with it, and grab whatever book, review or non, strikes my fancy. What’s been on your TBR pile the longest? On the 29th I added "Unpunished" by Lisa Black, from NetGalley. The publisher emailed me and said, "Here, we've pre-approved you for this book. Go forth and download." Okay, I'm paraphrasing, but you get the idea. :D It sounded good so I downloaded it. None. The cover may catch my eye but if the blurb doesn't appeal, I skip the book. That said, I pass up books, don't even read the blurb, when I find a cover unappealing. None. I may not get to them all but I intend on reading every one, eventually. Some day. There are some books on my Review Consideration shelf that are far down the list but the fact I've kept them instead of getting rid of them means I'm interested and want to read them someday. None. If it's unpublished, it doesn't go in the TBR pile but on the wish list. Looking at my wish list, it's a toss-up between "Rituals", the next Cainsville book by Kelley Armstrong, due out in August 2017, and "Blades of Spring", the next Ashfall book by Mike Mullin, and not due out until 2018, whimper. Hmm, probably "The Woman in Cabin 10" by Ruth Ware. Oh, that's hard. Nope, can't do it. Too many choices; I can't pick just one. Ouch, ouch, ouch. Now we get to the painful part of the program. When I did this post in 2014, I had the following: "...1,189 books on my TBR and 714 on my wish list and I'm currently reading 1." The numbers have only gone up in the two years since then. I now have 1,543 1,544 books in my TBR pile, 995 books on my wish list, and I'm currently reading 3. I hope to finish the 3 books before day's/year's end but its unlikely. Still, I'm going to try as I'd like to start the new year with a fresh batch of books. Yeah, I have a book problem. How about you? Are you a book hoarder? 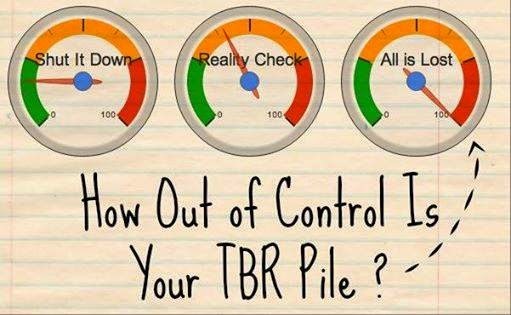 What does your TBR pile look like? OMG, I am such a hoarder! Good luck getting thru your pile. Yep, no matter how many books I read, the pile keeps growing. My TBR is so out of control and I too am a book hoarder. Great post. I need to do one like this! It's a fun, if slightly discouraging, post to do. 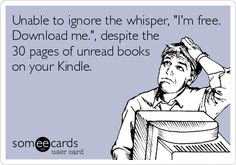 I'm crazy with these e-books, but I was crazy with print books too. E-books are even easier to collect. Happy New Year! E-books are much too easy to collect! They were made for hoarding, lol. I'm a hoarder too.....I mostly read eBooks as well but have stacks of physical books that I need to read. Sigh, I think I have enough books to last as long as you were quoting if not more! I also still have stacks of unread print books. Here's to all the books awaiting their turn! I see nothing wrong with a book addiction. :) Says the woman who worked at a bookstore to keep her book buying habit going. Yes, my paycheck went right back to the bookstore. My TBR pile grew in leaps and bounds those years that I worked there. 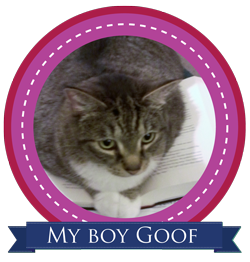 I also use Goodreads to keep track of my TBR. Currently, I have 2268 books on my TBR. A book problem? Nope. I do have a finding more time to read problem though. Before kids, I could read a book in a day, no problem. Now, with 4 kids, they keep me busier than I ever imagined. Although, I'm reading more kids books than ever before! Happy New Year! And Happy Reading! OMG, if I worked in a bookstore I wouldn't have a paycheck. How did you do it?